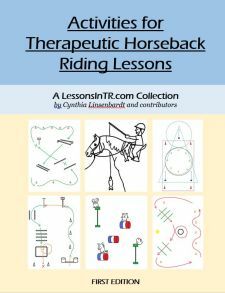 Today’s post is about working with and instructing Veterans in the setting of Therapeutic Riding / Equine Assisted Activities and Therapies (EAAT). This is a compilation of notes I have taken the past few years. This is NOT comprehensive, just helpful, hopefully! To work with veterans, you need to know where they are coming from. This means learning about veterans and hearing their stories. There are some links on the Veterans Program Resources posts to help with this. Recent movies have done a great job portraying the realities of the current wars. Wounds can be visible physical disabilities, or the “Invisible Wounds of War.” For a detailed explanation of each one, see the following links. My notes are from the presentations, focused on manifestations you may see during EAAT and how to adapt activities. Everyone experiences invisible wounds, although not enough to be diagnosed that something’s going on. Stress Reduction – meditation, yoga, etc. Which war the veterans were in will affect which symptoms and triggers they have. A “trauma trigger” causes someone to recall a previous traumatic memory, related to PTSD, causing the recurrence of emotional or physical symptoms that cannot be controlled. The point is healing, not just to be in riding lessons forever. Focus on how they are doing in the moment. Discuss past events if it informs the present (don’t have to stay in past). Consider creating a list of local therapists to reccommend if issues come up that you are not qualified to deal with. Veterans volunteering can be equally therapeutic! Eventing – was originally called “Militaire” by the French. It was created to better prepared horse and rider for the battlefield. It has 3 phases: 1) Dressage – tests their team work and discipline, 2) Cross Country – natural obstacles test courage, team work, endurance, leadership, 3) Stadium Jumping – tests endurance, obedience, team work. Eventing is used to create partnership between horse and rider just as in the military drills and obstacles are used for the platoon and their leader. 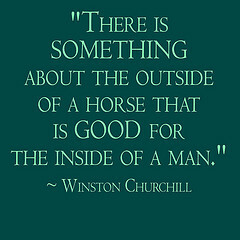 The platoon and horse are responsible for knowing their job and completing the task, and there is one leader. The military salute actually started in the middle ages with knights in armor lifting their visor to pay respects to the king. This motion is what has become the military salute we know today. Thank you for the correction! I’ll add it to the post!